Dating methods based on radioactive decay are in principle independent clocks, i.e., they solely rely on the measurement of radiometric quantities, on known physical constants and natural isotopic abundances. The potassium-argon, fission track, luminescence, ESR, and uranium series methods are such independent clocks. Radiocarbon, on the other hand, is a dependent clock since it requires calibration by independently derived ages, for instance by dendrochronology or uranium series dating. Radiometric dating provides the base line for calibrating other dating approaches such as isotope-, climate-, bio-, and magnetostratigraphy as well as astronomical and chemical means. All these latter techniques rely on natural changes with varying rates that are more or less predictable. Only through calibration do these techniques become chronometric tools. 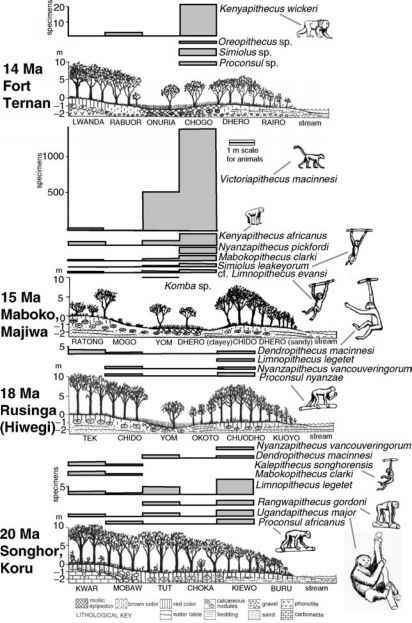 During the last decades, a solid chronology for the time period hominids entered the scene since some 5 Ma ago, has been established through radiometric dating. Present methodologic developments focus primarily on improving the time resolution, which is a prerequisite in order to decipher natural and cultural processes. Paleoanthropologic knowledge and concepts have greatly benefited from these advances.